While writing alternate history, you may become a slight rage monster, but that is OK because that’s why alcohol exists. 1. You’re not bound strictly by the constraints of historical events, so any anachronisms are expected. So if you want to create a city-wide electricity system before electricity went city-wide, you could have at it, I suppose. 2. You can let your imagination run wild. It’s interesting to consider how certain historical events have shaped certain countries, or even the world. What could have happened if those events had gone another way? How would it have influenced society, culture, language, the world? Writing alternate history allows you to re-imagine the world in the different way using real events as pivotal points. 3. I wouldn’t say it’s easier to write or that there is less research involved, so just toss that idea right out the window. But you are under less pressure to get the historical minutiae correct. 4. You treat alternate history as one part reality, one part fantasy. So at least half of your writing time isn’t pausing to look up the historical accuracy of the scene you’re trying to write, so you can keep typing away as long as what you’re writing fits in with the rules of your alternate world. Which is the great thing! You invent the rules, too! 1. If you’re creating an alternate history, it still needs to have some believability to it. Whether that’s in the way the technology works, or recognizing how a singular event changed the course of history. If it’s grounded in its real life history, the story becomes a true “what if?” It resonates. It becomes possible. And that’s always the best kind of read. So while I said there was less pressure in getting the historical minutiae correct, it means still knowing the minutiae so you can address it. So there is still a great deal of historical research involved, possibly more, because you have to turn history on its ear. 2. Just because you know something is a deliberate anachronism doesn’t mean readers will. Especially if your alternate history still plays very heavily on its historical roots, so historical readers will be paying attention. 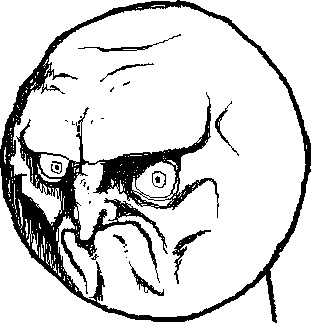 You’re obligated to make the historical aspects look well researched, and the alternate aspects more apparent. And it’s a very delicate balance. 3. Sometimes it doesn’t work. Fact: certain historical events were inevitable. A lot of small decisions lead up to the final pivotal event that made it possible. So once again, you’re responsible for knowing all of the minutiae leading to the end game and coming up with explanations for an alternate catalyst event that made your history possible. 4. In the end, you MAY find yourself consuming more coffee/chocolate than usual. There may also be a few silent tears. That’s OK. Just keep going. And when you’re done with the manuscript, seconds away from a coffee coma, you feel a moment of victory because GO YOU YOU DID IT YOU GLORIOUS CREATURE!!! 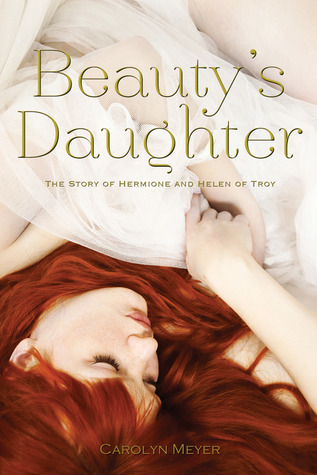 Lady Aileana Kameron, the only daughter of the Marquess of Douglas, was destined for a life carefully planned around Edinburgh’s social events – right up until a faery killed her mother. Now it’s the 1844 winter season and Aileana slaughters faeries in secret, in between the endless round of parties, tea and balls. Armed with modified percussion pistols and explosives, she sheds her aristocratic facade every night to go hunting. She’s determined to track down the faery who murdered her mother, and to destroy any who prey on humans in the city’s many dark alleyways. But the balance between high society and her private war is a delicate one, and as the fae infiltrate the ballroom and Aileana’s father returns home, she has decisions to make. How much is she willing to lose – and just how far will Aileana go for revenge? Elizabeth is an occasional book cover photographer, a fantasy writer, a PhD student, and an accomplished coffee drinker. She resides in Edinburgh, Scotland, where she can frequently be spotted skulking about dark wynds with a camera in hand. From Jess: What was the most fun steampunk creation you came up with? It doesn’t show up until the second book, but it involves explosives and armour! From Susan: Elizabeth, you live in Scotland, now — and I love seeing the fabulous photos on your website. Can you tell us how your surroundings inspire you? Or, not? From Cat: You’re a professional photographer in addition to an author. In what ways do you feel the art of photography and design helped you create THE FALCONER? I’d say it hasn’t, really. I was a writer years before I even touched a camera, so photography has always been second in my heart. I’d actually say that being a writer, a storyteller, helps me create photos, instead of the other way around. From J. Anderson Coats: I love that your supernatural characters are so close to their violent, chaotic roots in folklore! Can you tell us a little about why you chose to make them this way, and what sources proved to be the most grimly inspirational? Well, I suppose it was my growing dissatisfaction with the fact that faeries are always perceived as relatively harmless creatures. There was that joke about Edward Cullen, something like, “Doesn’t have fangs, lives in the forest, glitters in the sunlight – he’s not a vampire, he’s a faery!” And my response was immediate annoyance because in Scottish myth faeries are capable of some seriously gruesome slayings, and they’re not just glittery pretty creatures – they’re monsters. In fact, there’s one type (that actually shows up in The Falconer) that lures its victims onto a road at night and then rips their throats out. In Scottish mythology, faeries are ghosts, demons, vampires, giants . . . whatever creature of myth you can possibly think of was considered fae. So I wanted to write a story where they are the same feared, gruesome creatures, because it’s not a side of them I see very often in genre novels. As far as sources, I pretty much got everything from everywhere. Stories I heard from places I visited, books I read, etc. In folklore, the fae were responsible for a lot of unfortunate things (dying crops, plagues, murders), so it was easy for me to envision those things really happening, especially in a place as cramped and over-populated as Edinburgh was in the Victorian era. From Sharon: You’re currently studying folklore for your doctorate. How much of your research did you pull into the book? 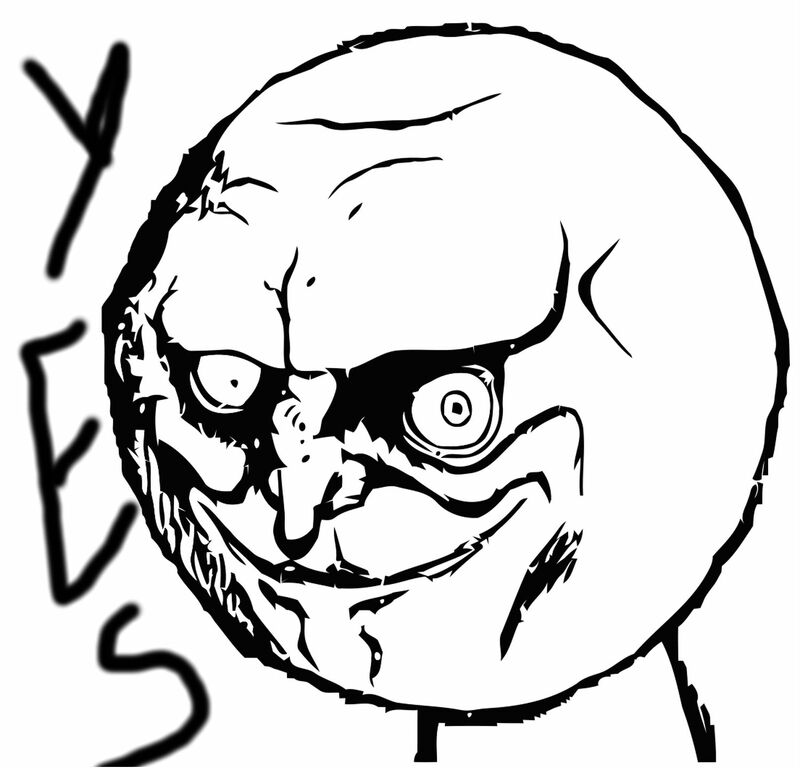 From Jenn: I know you’re deep into a new story now—How has writing book 2 been different for you than book 1? I’d say it’s more emotionally involved. 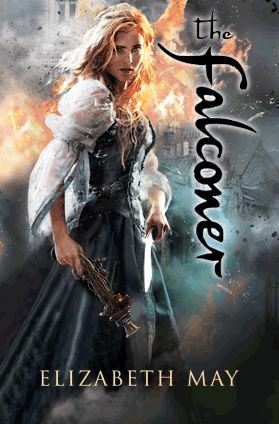 The Falconer is definitely dark, but its sequel really takes the story to another level. 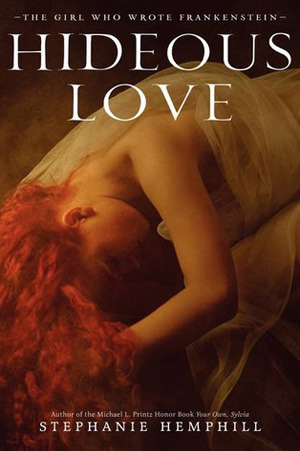 It’s an emotionally draining thing, but I actually love it more than the first book. 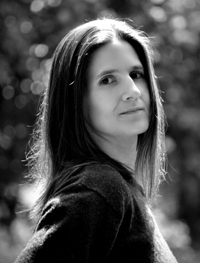 From Laura Golden: The Falconer is the first book in a series. I’m in utter awe of authors who write series–the planning, the crafting, the writing. What has been your process for creating Lady Aileana’s continuing story? Have you found the second book to be more of a challenge than the first? Our Historically Epic First-Anniversary Giveaway! One year ago, three published novelists and several upcoming debut novelists kicked off Corsets, Cutlasses, & Candlesticks to celebrate middle-grade and young-adult historical fiction. Twelve months, a few new members, and several published novels later, we’re happy to present our first-anniversary giveaway! One winner will receive bookmarks and other goodies from multiple Corsets, Cutlasses, and Candlesticks authors. Good luck, and thanks for joining us! Here’s a hearty selection of YA and middle-grade historical fiction coming your way from late-September to December 2013. If you know of a book we’ve forgotten, please tell us about it in the comments section. Everyone thinks that Sophie is an orphan. True, there were no other recorded female survivors from the shipwreck that left baby Sophie floating in the English Channel in a cello case, but Sophie remembers seeing her mother wave for help. Her guardian tells her it is almost impossible that her mother is still alive—but “almost impossible” means “still possible.” And you should never ignore a possible. So when the Welfare Agency writes to her guardian, threatening to send Sophie to an orphanage, she takes matters into her own hands and flees to Paris to look for her mother, starting with the only clue she has— the address of the cello maker. Josiah Wedgewood and Marcus Perry are on their way to an uncertain future. Their whole lives are ahead of them, yet at the same time, death’s whisper is everywhere. It’s May 1944. World War II is ramping up, and so are these young recruits, ready and eager. In small towns and big cities all over the globe, people are filled with fear. When Josiah and Marcus come together in what will be the greatest test of their lives, they learn hard lessons about race, friendship, and what it really means to fight. 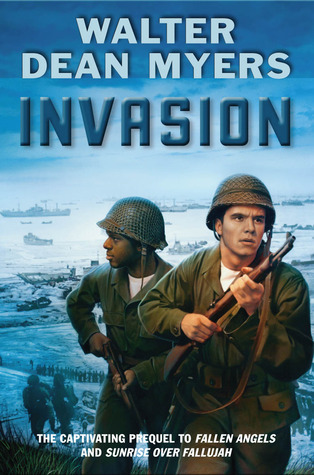 Set on the front lines of the Normandy invasion, this novel, rendered with heart-in-the-throat precision, is a cinematic masterpiece. Here we see the bold terror of war, and also the nuanced havoc that affects a young person’s psyche while living in a barrack, not knowing if today he will end up dead or alive. August 1914. While World War I rears its head across Europe, Sir Ernest Shackleton begins a daring expedition to be the first man to cross the Antarctic on foot. With him on his ship Endurance are twenty-eight crew members, sixty-nine sled dogs, a gramophone, a bicycle–and Merce Blackboro, a seventeen-year-old stowaway hidden amidst oilskins and sea boots. Their journey into the ice is by way of the sub-Antarctic island of South Georgia. But the Antarctic summer is short, and their passage remains resolutely closed to them. In the Weddell Sea the Endurance is trapped for months in pack ice and finds itself delivered up to an uncertain fate. 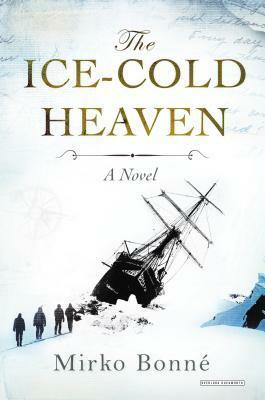 Richly imagined and gripping right up the very last page, Ice-Cold Heaven traces Shackleton’s legendary and heroic adventure through the ice and explores the relationships between these men who were lost to the world for 635 days. Mary Shelley wrote Frankenstein at the age of nineteen, but inspiration for the monster came from her life—the atmospheric European settings she visited, the dramas swirling around her, and the stimulating philosophical discussions with the greatest minds of the period, like her close friend, Lord Byron. 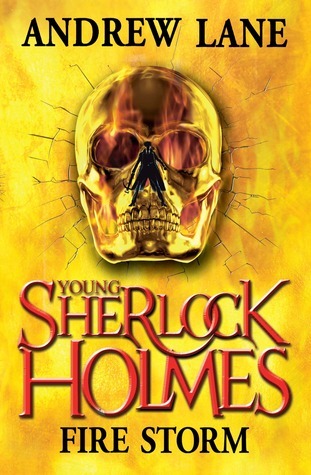 Fourteen-year-old Sherlock has come up against some challenges in his time, but what confronts him now is completely baffling. His tutor, Crowe, and Crowe’s daughter, Ginny, have vanished. Their house looks as if nobody has ever lived there. Neighbours claim never to have heard of them. Sherlock begins to doubt his sanity, until a chance clue points him to Scotland. Following that clue leads him into the throes of a mystery that involves kidnapping, bodysnatchers and a man who claims he can raise the dead. Before he knows it, Sherlock is fighting for his life as he battles to discover what has happened to his his friends. Former ESPN sportscaster Sandra Neil Wallace (wife to Knopf author Rich Wallace) makes her young adult novel debut with a historical fiction story that is equal partsHoosiers and October Sky. Felix O’Sullivan’s world is crumbling around him: the mine that employs most of town is on the brink of closing, threatening to shutter the entire town. And Felix, or Red, after his fire-colored hair, will be one of 24 students in the final graduating class of his local high school. But Red’s got his own burdens to bear: his older brother, Bobby, died in the war, and he’s been struggling to follow in his footsteps ever since. 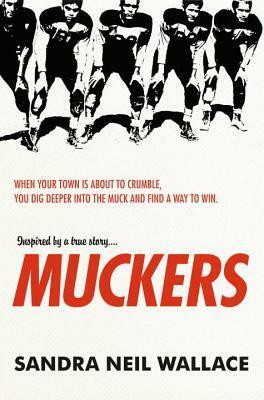 That means assuming Bobby’s old position as quarterback, and leading the last-ever Muckers team to the championship. Maybe then his angry, broken-hearted father will acknowledge him, and they’ll be able to put Bobby’s death behind them. But the only way for the hardscrabble Muckers team to win State is to go undefeated, and tackle their biggest rival, Phoenix United, which would be something of a miracle. Luckily, miracles can happen all the time on the field. Fans of Friday Night Lights and Tim Tharp’s Knights of the Hill Country will take to this enthralling story of a town rallying together to turn a tragedy into a triumph. Sophronia’s first year at Mademoiselle Geraldine’s Finishing Academy for Young Ladies of Quality has certainly been rousing! For one thing, finishing school is training her to be a spy (won’t Mumsy be surprised?). Furthermore, Sophronia got mixed up in an intrigue over a stolen device and had a cheese pie thrown at her in a most horrid display of poor manners. 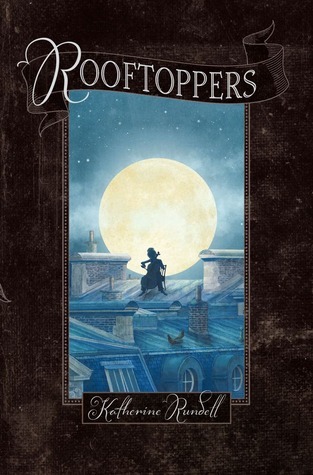 Now, as she sneaks around the dirigible school, eavesdropping on the teachers’ quarters and making clandestine climbs to the ship’s boiler room, she learns that there may be more to a school trip to London than is apparent at first. A conspiracy is afoot–one with dire implications for both supernaturals and humans. 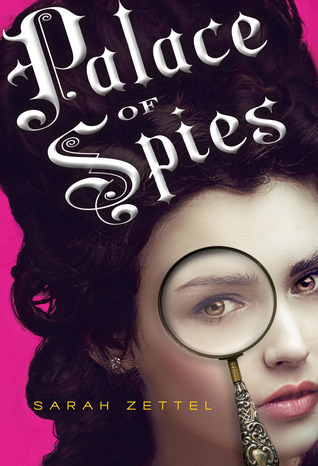 In this sequel to bestselling author Gail Carriger’s YA debut Etiquette & Espionage, class is back in session with more petticoats and poison, tea trays and treason. A warning to all young ladies of delicate breeding who wish to embark upon lives of adventure: Don’t. Sixteen-year-old Peggy is a well-bred orphan who is coerced into posing as a lady in waiting at the palace of King George I. Life is grand, until Peggy starts to suspect that the girl she’s impersonating might have been murdered. Unless Peggy can discover the truth, she might be doomed to the same terrible fate. But in a court of shadows and intrigue, anyone could be a spy—perhaps even the handsome young artist with whom Peggy is falling in love . . . History and mystery spark in this effervescent series debut. 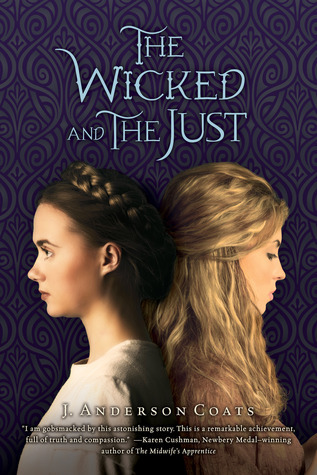 We’re celebrating the paperback release of J. Anderson Coats‘s critically acclaimed 2012 debut novel, The Wicked and the Just., available tomorrow, September 17, from HMH Books for Young Readers. As per our Corsets, Cutlasses, and Candlesticks tradition, each member of the group has asked Jillian a question, which she graciously answered below. Cecily’s father has ruined her life. He’s moving them to occupied medieval Wales, where the king needs good strong Englishmen to keep down the vicious Welshmen. At least Cecily will finally be the lady of the house. Gwenhwyfar knows all about that house. Once she dreamed of being the lady there herself, until the English destroyed the lives of everyone she knows. Now she must wait hand and foot on this bratty English girl. 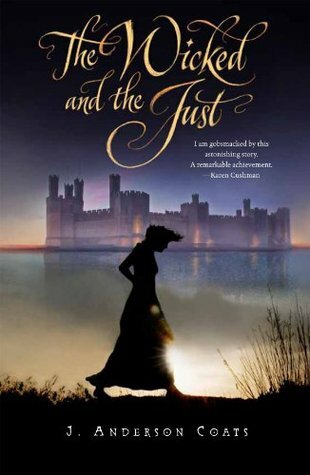 While Cecily struggles to find her place among the snobby English landowners, Gwenhwyfar struggles just to survive. And outside the city walls, tensions are rising ever higher—until finally they must reach the breaking point. 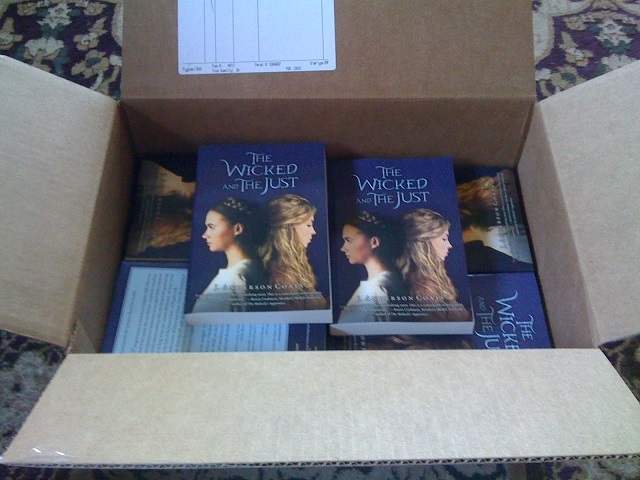 From Sue: I loved THE WICKED AND THE JUST — and I loved the atmospheric cover image on the hardcover edition. The paperback cover art is a striking change, and just as compelling. Could you talk a bit about the different appeal of the new look? I love them both for different reasons. The design teams really outdid themselves! The hardcover is intriguing and melancholy, with the girl in silhouette and the castle behind her lit from the sunset (or sunrise, depending on your point of view). The figure is solitary and kind of downcast; you get the sense that she’s probably in trouble and definitely on her own to deal with it. I like how it’s not clear which of the main characters it is; it could easily be either one. The color scheme and the overall tone of the hardcover is delightfully ominous, visually gorgeous, and evocative of the setting. The paperback cover, on the other hand, does a fantastic job of capturing the characters and their complicated relationship at a glance. It’s easy to tell who’s who; I love that Cecily is looking up while Gwenhwyfar is looking down (and kind of sneering, too, which totally fits). They’re simultaneously connected and in opposition to one another, and neither of them is happy about it. I like that there’s less emphasis on their hair and clothing than there is on their posture and facial expressions. The overall effect is punchy, sharp and real – just like the girls themselves. From Sharon: I absolutely love Wales. 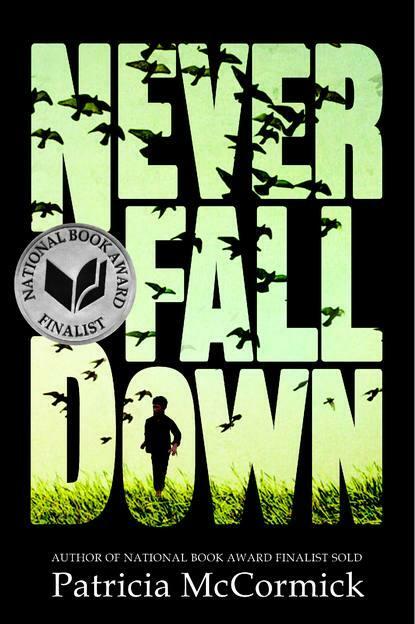 I can see how inspiring it would be for a writer, and you captured the country beautifully in your story. How did you research Wales? Do you get to go there? That’s my dirty little secret: I’ve never been to Wales. I was hoping to go in 2012, but finances fell through so the trip was pushed to the back-burner. I’m very much looking forward to rescheduling, though! I had a bit of an advantage when it came to book-research. I was the kind of unbalanced teenager that had research interests, so I was deep in the DA section of the library by the time I was thirteen. So a lot of the background content I had going in. I had to approach the problem creatively, researching other towns founded by Edward I in other places, general medieval urban culture, and the North Wales planted towns in later ages when the records are better. When you’re a historian, you’re part garbage collector, part treasure hunter, part psychologist and part microfilm wrestler. From Laura: The characters in THE WICKED AND THE JUST are beautifully drawn. Do you have a specific process for creating your characters–character sketches and the like–or do you get to know your characters as you write the story? I’m not a sketcher. I admire people who can have this level of mastery over their characters from the drop. My characters develop over the course of the story, typically in response to situations or when put into contact with friends or family or rivals. I suspect I’d need to do fewer revisions if I went this way, but really, I don’t know what I don’t know until I need to know it. From Jess: I loved both Cecily and Gwenhwyfar – they aren’t very nice, but I found them both sympathetic and fascinating. Was it difficult finding each of their voices for the dual narrative? Did one come to you more easily than the other? Cecily spoke to me from the beginning, clever, singleminded and more than a little entitled. In earlier drafts she was even more snarky and unbearable and I had to tone her down! Gwenhwyfar was a little more elusive. All I had of her initially was her pure undiluted rage. She came into focus more gradually, and in response to her interactions with her brother and would-be sweetheart. They did a lot to soften her rough edges and define her inner life. From Cat: You chose to write about an era that’s not normally found in young adult historical fiction. What have you found to be the pros and cons of publishing a book set in the thirteenth century? “Pros and cons” is a toughie. I chose this setting and these characters because that’s where the story was. It wouldn’t be the same story in Revolutionary France or Tang-dynasty China; it would be entirely its own thing, relying on nuances of the world and what made it tick to be effective and relevant. That could be a pro or a con, depending on your point of view. It’s a con that genres like high fantasy are allowed the sort of complex plots, odd-bird characters, strange place names, and intricate politics that are considered problematic and offputting in historical fiction. It’s a con that historical fiction is still considered a tough sell despite the recent success of several high-profile titles and a dedicated audience. But here’s a pro: There are budding teenage history geeks out there, and I want to be on the front lines of handing them books that let them know they’re correct that history is in fact awesome. And that they’re not alone in thinking so. There are kids who don’t think much of history because all they’ve ever had to judge it by is social studies. I want to hand them real stories about real people who feel familiar, who have the capacity to be cruel and kind and stupid and thoughtful and loving and vindictive just like we all do. There are kids who might like history if it was more real. I can’t unindoctrinate them, but I can hand them a story that doesn’t pull any punches, that presents the past in all its corrupt, seamy glory, and let them decide for themselves. I’ll follow the story every time. Wherever it takes me. 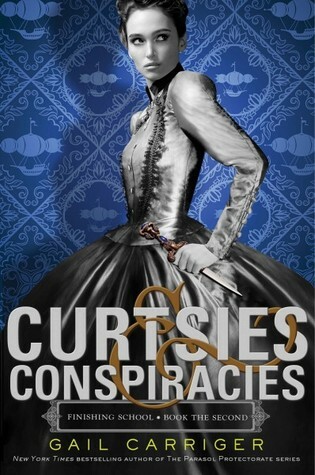 From Jenn: Congratulations on your paperback release, Jillian!! What has been the biggest thing you’ve learned in the time between your hardback coming out and your paperback? We need community. Seriously. Find some other writers you get along with and make time to hang out regularly. They can be in person or online or both. But there’s going to come a time when you need to crab about a deadline or a bad review or you can’t face another scene of your crappy WIP and you just need to hash it out with someone who understands. Non-writer friends and family sympathize and cheerlead, but when it comes down to it, you need to be around other writers because they get it. Before I had a deal for W/J, I knew very few other writers, and I certainly didn’t hang out or share things with them. I had imposter syndrome like you wouldn’t believe, and I was pretty sure I didn’t “deserve” to hang out with “real” (read: published) writers until I was one of the gang. So I came late to this party, but it makes a huge difference and I value my writer-colleagues all the more now that I know what I was missing. From Katy: I love that you don’t show us medieval Wales through rose-colored glasses, Jillian. I’d love to know what drew you there in the first place–what seemed most romantic (in any sense of the word)? And what struck you as most horrific? When I was in the sixth grade, my gifted enrichment program did a unit on medieval culture. 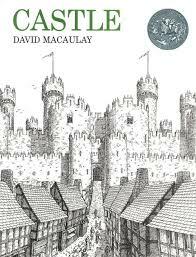 One of the books available for our perusal was Castle by David MacCaulay. (If you’ve never read it, Castle is a slice-of-life tour through a fictional castle in Wales with the most lovely and detailed illustrations.) This book pulled me so firmly into the medieval world that I don’t think I’ve ever really left. Castle made the middle ages feel familiar, approachable and real. I went straight to my library and systematically checked out every book on medieval Wales, then the middle ages in general. When I’d read them all, I started harvesting titles from bibliographies and bugging my mother to get books for me on interlibrary loan. This was how I learned how crass MacCaulay’s anglicizations were, but by then I was well into the weeds. What drew me in was also the most horrific: the circumstances and aftermath of the fall of native Wales in the 1282-3 English invasion. There was a ton of collaboration going on among the Welsh nobility–a lot of craven self-serving pandering mixed with some good ol’ fashioned backstabbery–and I was frantic for some kind of counterrevolution that was not forthcoming. The fall of native Wales was not a nice story. It was not clean and pretty. It was too human for thirteen-year-old me to really look in the eye. It made me want to know what led to that sort of collapse. And it led to a story I needed to tell.